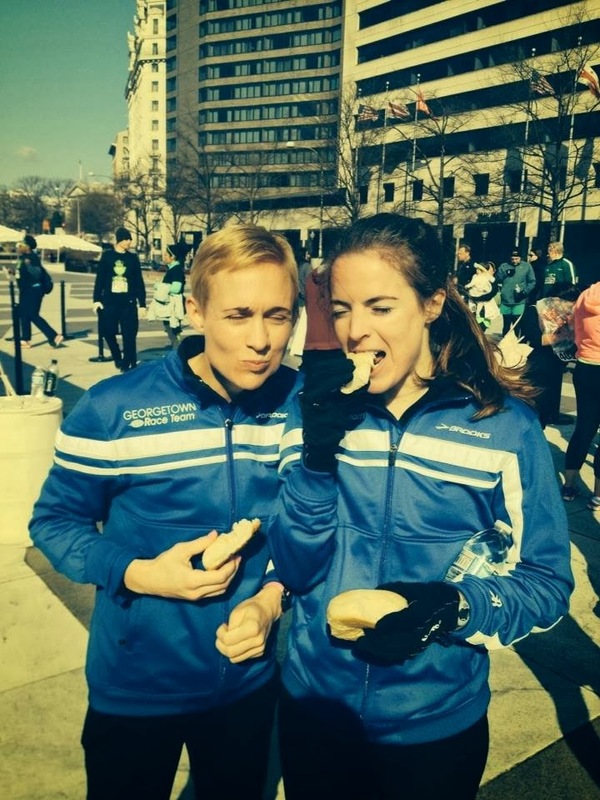 Cool temperatures and formidable winds slowed times for the contingent of GRC runners who took to the streets of downtown DC today for the St. Patrick's Day 8k. Although PRs were spared today, the bagels were given no quarter. The Team extends many thanks to Pacers Events for putting on a first class race. Great Job Boys! I was with you in Irish spirit!